Password Required for On-Line Ordering and Product Inquiry! Healthcare Professionals ONLY! 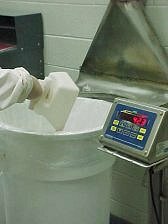 Ingredients are brought into a weigh room where they are weighed according to a written formula for a predetermined number of tablets specified in the Manufacturing Batch Record (MBR). When raw material characteristics make tableting difficult, we use wet granulation procedures which involves blending the raw materials with purified water, air drying the mixture, mill sizing the particles and then blending the resulting granules for tableting. Ingredients are blended according to predetermined written instructions specified in the Manufacturing Batch Record (MBR). 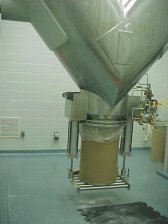 When the blending process is completed, the blended ingredients are placed in drums and transported to the tablet room for tableting. Using engineered dies and punches, the size and shape specified in the Manufacturing Batch Record (MBR), our production staff sets up the tablet machine. 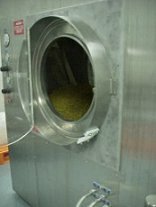 The operator has Quality Control approve the setup, fills the hopper with raw material and starts the machine to begin production of the batch. 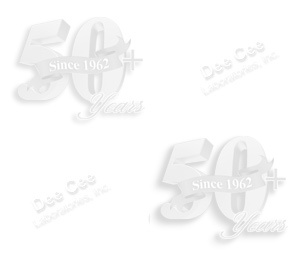 Dee Cee's high-speed tableting machines operate at speeds up to 150,000 tablets per hour. The operator continuously monitors and controls key functions such as die filling, compression of raw materials and tablet ejection. Enclosed, stainless steel construction assures optimum manufacturing conditions. 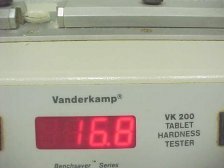 Tablets are tested at the beginning of each batch and the beginning of each shift to ensure that they meet USP <2091> requirements for weight conformity. USP <2040> requirements for disintegration and USP <12167> requirements for friability, hardness and thickness. Every 15 minutes during operation, a random sample of ten tablets is weighed, compared to specification, and the average weight is recorded. Using USP <2040>, our tablets are required to disintegrate in a minimum of 5 to a maximum of 30 minutes. to enhance appearance, make them easier to swallow and improve their stability by protecting them from oxidation and moisture. Each tablet machine operator is responsible for assuring that the tablets they manufacture meet the exact specifications in the Manufacturing Batch Records (MBR). Each step of the manufacturing process is monitored by supervisory personnel and verified by quality control. As each batch is completed, a representative sample is tested in the laboratory. Manufacturing Batch Record (MBR) and finished goods records are thoroughly reviewed and verified for accuracy before the product is given a final stamp of approval and released for packaging and shipment.